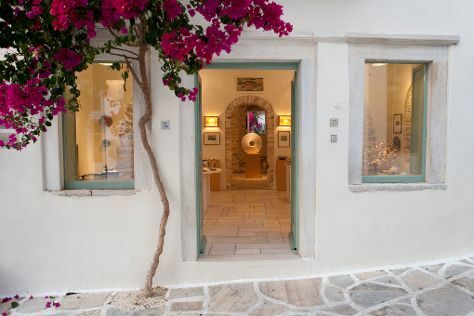 Start off your visit on the 5th (Fri): delve into the distant past at Temple of Apollo, delve into the distant past at Portara, see the interesting displays at Distillery M. G. Vallindras Eirini Frangoudaki, view the masterpieces at Fish & Olive, then examine the collection at Eggares Olive Press Museum, and finally wander the streets of Old Town. To find reviews, where to stay, photos, and tourist information, use the Naxos road trip app . New York City, USA to Naxos is an approximately 14.5-hour combination of bus and flight. You can also fly; or do a combination of train and flight. You'll lose 7 hours traveling from New York City to Naxos due to the time zone difference. In July, daytime highs in Naxos are 85°F, while nighttime lows are 73°F. Wrap up your sightseeing on the 5th (Fri) early enough to ride a ferry to Pyrgos. Pyrgos provides one of the finest examples of Cycladic architecture in Greece, exemplified by the town's labyrinthine streets and whitewashed stone buildings. On the 6th (Sat), do a tasting at Venetsanos Winery, then do a tasting at Santo Winery, then see the interesting displays at Wine Museum Koutsogiannopoulos, and finally examine the collection at Cultural Village. On the 7th (Sun), you'll have a packed day of sightseeing: step into the grandiose world of Castelli of Pyrgos, explore the historical opulence of Castelli of Emporio, examine the collection at Monastery of Profitis Ilias, then take in the exciting artwork at Art Space, and finally enjoy the sea views from Akrotiri LightHouse. To find more things to do, ratings, maps, and more tourist information, read Pyrgos trip itinerary tool . You can ride a ferry from Naxos to Pyrgos in 1.5 hours. 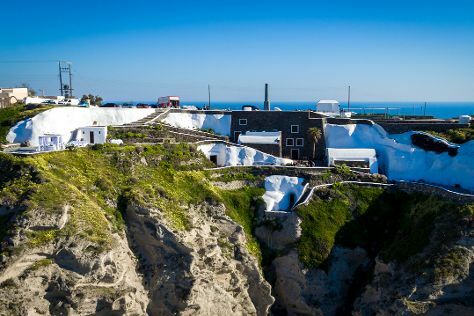 In July, daytime highs in Pyrgos are 86°F, while nighttime lows are 74°F. Wrap up your sightseeing on the 7th (Sun) to allow time to ride a ferry to Rethymnon. 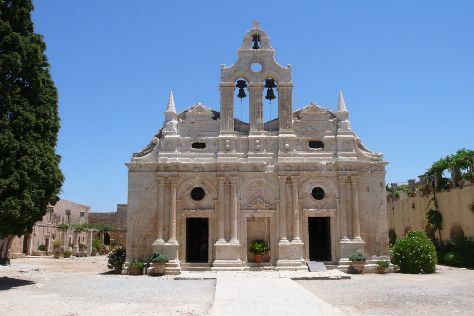 Start off your visit on the 8th (Mon): take in the spiritual surroundings of Monastery of Arkadi, contemplate in the serene atmosphere at Monastery of Panagia Chalevi, then contemplate in the serene atmosphere at Agia Irini Convent, and finally contemplate the long history of The Venetian Fortezza. To see where to stay, more things to do, photos, and other tourist information, go to the Rethymnon journey maker site . You can ride a ferry from Pyrgos to Rethymnon in 2.5 hours. Alternatively, you can do a combination of ferry and taxi. In July, plan for daily highs up to 89°F, and evening lows to 71°F. Wrap up your sightseeing on the 8th (Mon) early enough to travel to Rhodes Town. 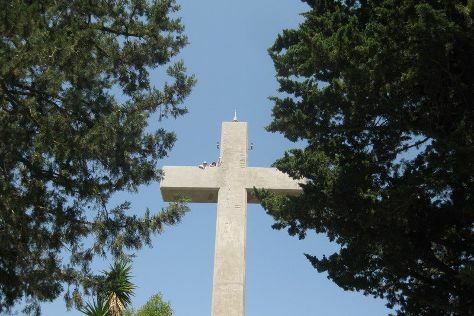 Kick off your visit on the 9th (Tue): examine the collection at Bee Museum, pause for some serene contemplation at Church of Our Lady of Filerimos, don't miss a visit to Mandraki Harbour, then take an in-depth tour of Archaeological Museum of Rhodes (Hospital of the Knights), and finally steep yourself in history at Street of the Knights. To find where to stay, reviews, and tourist information, read Rhodes Town trip itinerary planner. You can do a combination of shuttle and flight from Rethymnon to Rhodes Town in 4 hours. Another option is to do a combination of car and ferry. In July, daily temperatures in Rhodes Town can reach 86°F, while at night they dip to 75°F. Finish up your sightseeing early on the 9th (Tue) so you can travel to Corfu Town. On the 10th (Wed), wander the streets of Corfu Old Town, deepen your knowledge of military history at Old Fortress Corfu, then examine the collection at Casa Parlante, and finally take in the architecture and atmosphere at Church of Saint Ioannis the Precursor. Inspirock's itinerary builder makes planning a Corfu Town trip simple and quick. Traveling by flight from Rhodes Town to Corfu Town takes 4.5 hours. Alternatively, you can do a combination of ferry and car; or do a combination of ferry and bus. Traveling from Rhodes Town in July, you can expect nighttime temperatures to be slightly colder in Corfu Town, with lows of 70°F. Finish your sightseeing early on the 10th (Wed) so you can travel back home.